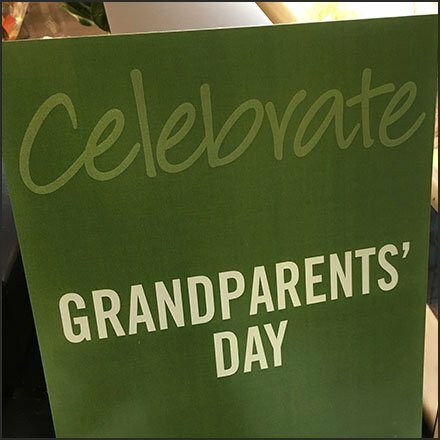 You know they deserve it so Celebrate Grandparents Day September 10th. This overall display suggests giving flowers, but the Greeting Card carrying Teddy Bears are a good cross sell. Or maybe these are Polar Bears to tie with a “Snow Birds” or “Snow Ball Head” nicknames for Senior Citizens. In any event, don’t miss celebrating Celebrate Grandparents Day September 10th. This promotion seen at Giant, Bartonsville, PA.